Yes, Zero Dark Thirty portrays a dark corner of Pakistan, but the film never claims that this is all there is to the country. If ever there was an appropriate name for a film, Zero Dark Thirty is it. The title here, which is military speak for the ‘middle of the night’, not only stands for the pitch black hour at which Osama bin Laden was apparently killed by the US Navy SEALs in Abbottabad, Pakistan, but represents the murky nature of the decade long clandestine hunt for the notorious al Qaeda leader. Yes, it is clear that no one can shoot a mesmerising action sequence quite like the academy-award winning director. In a space dominated by male filmmakers such as Michael Bay (Transformers), who allow their testosterone to explode all over the silver screen, it is refreshing to note that it is a female filmmaker, who with her intelligent style of enhanced-realism, is brave enough to break the status quo. Certainly, there is some of Bigelow’s determined nature in the film’s lead character, CIA agent Maya (Jessica Chastain), who doggedly argues with her superiors that Bin Laden is still alive, and not leading the world’s most infamous terrorist organisation from the seclusion of a dusty cave. Selected by the American intelligence organisation for recruitment as a young adult, the redheaded Maya spends the majority of the film, and her career, on this one demanding task. Jessica Chastain is excellent in her performance as a young agent tasked with such a high pressure assignment, displaying all the frustrations and heartbreak which expectedly come with such a job. There is an interesting single-mindedness to her character which exemplifies the loner personality of individuals married to their work. 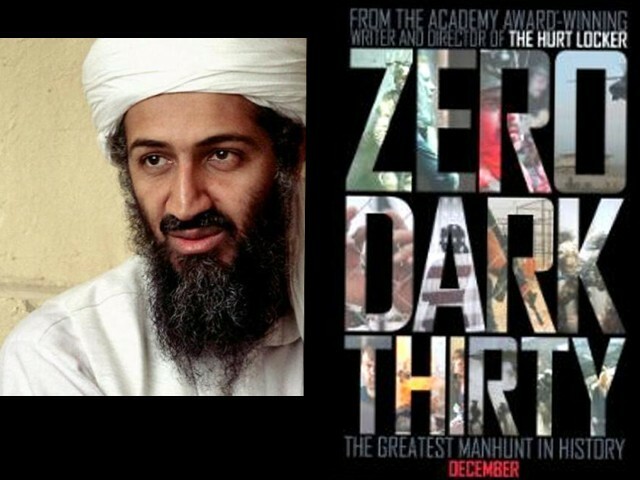 The film begins two years after the attacks of September 11, where the CIA are gathering information on the whereabouts of Osama bin Laden. Here, we are shown one of many torture sequences in the film, that are highly disturbing, yet quite engrossing to watch, as we observe the clinical process of the CIA for extracting information from detainees. It is interesting that while the majority of these scenes take place at interrogation cells in Pakistan, the interrogations themselves are mostly conducted by American CIA employees. If the film is to be believed, the intelligence organisations in Pakistan and America enjoyed a close partnership, a fact that may tickle citizens of Pakistan the wrong way. Critics of the film have stated that these torture sequences are highly exaggerated, not only in their style, but in their level of importance to anti-terrorist organisations. While the truth of it may never been known, it is clear that although Zero Dark Thirty affords a method that relies on the suspension of disbelief through gritty realism, the film is a piece of entertainment, and certainly not a documentary. In these opening scenes at a CIA black site, Maya is introduced to her fellow superior officer, Dan (Jason Clarke), who shows her the ropes. Maya is a quick learner, and soon starts piecing together information on al Qaeda members, which she hopes can lead her to their most wanted leader. Here, Maya develops a safe friendship with intelligence colleague Jessica (Jennifer Ehle), who teases her about getting involved in a relationship with Dan. But Maya has little time for relationships, and through the interrogation and torture of Saudi terrorist after Saudi terrorist, sniffs out a very important name which eventually helps her hit her target. This name of course, is ‘Abu Ahmed’, a man who is supposedly the personal courier of Osama Bin Laden, and thus the key to finding the world’s most elusive man. But even after Maya locates her man, much to her vexation, she isn’t able to nab him until the high level operation is approved by everyone involved, which is the entire United States government. Zero Dark Thirty has resulted in some racially charged comments across social networking websites like Twitter, but it is important to note that it is such viewers, and not the film itself, who are prejudiced. Obviously, the al Qaeda was lead by a group of Muslim fundamentalists, and it would have been strange had the film transformed the terrorist network into a group of angry scientologists lead by Tom Cruise, in order to appear more politically correct. Sometimes, it seems, the inner racist in narrow minded individuals is simply looking for a trigger, whatever that may be. Cinema organisations across Pakistan have taken the decision not to screen the film, for reasons that the film may offend Pakistani viewers. While such reasons may appear sound, especially after the burning of cinemas in Pakistan with the online release of the YouTube film, Innocence of Muslims, I find the reaction to be a little extreme. Yes, Zero Dark Thirty portrays a dark corner of Pakistan, but the film never claims that this is all there is to the country. It doesn’t have to, because this is a film about the hunt for Osama Bin Laden, and not about Pakistan’s glorious win at the cricket world cup. And like it or not, our national army was completely clueless about an operation by a foreign military on its own soil, near its own military academy. So if Zero Dark Thirty makes us look completely incompetent and stupid when it came to the events of May 2, 2011, perhaps it is because we were. Correction: An earlier version of the blog incorrectly mentioned “naval compound” instead of “military academy” in the second last paragraph. The error has been rectified. I really have to applaud the writer for analyzing the movie without prejudice. The movie has stirred some great controversy on whether it encourages torture and hatred towards muslims. I concur with the writer that any prejudice lies with the viewer and not the movie. Prejudice lies with the viewer? Victim card? Reality? Are you guys kidding me? The film portrays Pakistan as somewhere in the middle of Middle East and Lahore with all women wearing a burka and speaking Arabic.. REALLY? wow. 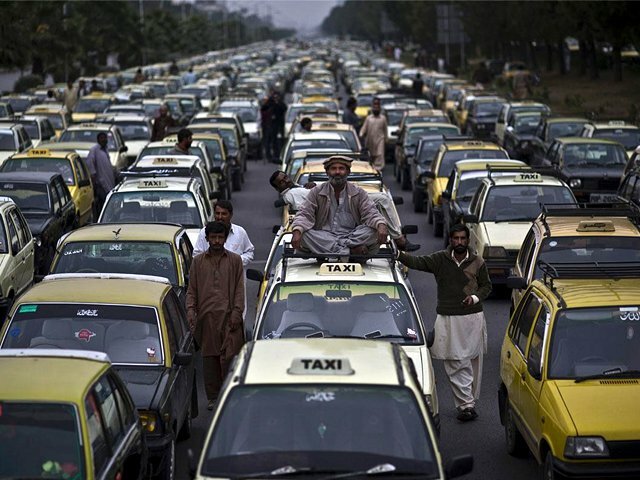 I don’t know what movie you saw, or if you even saw it (hell, maybe you’re just going off of what someone told you about this movie), but the portrayals of Islamabad, Peshawar and Abottabad were spot on, enough to leave me impressed, and I usually scoff at movies’ comical versions of Pakistani cities. If you’ve ever been up near the NW border, many women do wear the tell-tale Afghan blue burka that looks like an NBC warfare hazard suit. @[email protected]: The Islamabad and Abbotabad scenes were picturised in Chandigarh. In fact Urdu signboards were created for the purpose an Pakistani flags and all. The stores with Hindi signboards were replaced by Urdu signboards. Many people in India had in fact protested because they did not want India to be made to look like Pakistan (silly protest if you ask me). 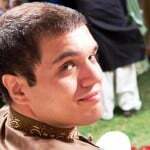 @Noman Ansari: Great review overall. Glad you made the point about the Arab women speaking in Arabic. I have seen this exact same criticism of Pakistanis shown as speaking in Arabic repeated in multiple places to where it almost seems like a talking point. Please correct, its not Naval compound. Its military academy..
My comment did not mention ANYTHING about the accuracy of ANYTHING in the film. Kindly re-read what I said. When I said people tend to play the victim card, simple fact: they do, regardless of where Pakistan was said to be located or what language was said to be spoken there. That was never my point and it’s irrelevant to my comment. And playing the victim card is pointless and doesn’t achieve or change jack.